Engineers at the University of California, San Diego have invented a “nanosponge” capable of safely removing a broad class of dangerous toxins from the bloodstream – including toxins produced by MRSA, E. coli, poisonous snakes and bees. These nanosponges, which thus far have been studied in mice, can neutralize “pore-forming toxins,” which destroy cells by poking holes in their cell membranes. Unlike other anti-toxin platforms that need to be custom synthesized for individual toxin type, the nanosponges can absorb different pore-forming toxins regardless of their molecular structures. In a study against alpha-haemolysin toxin from MRSA, pre-innoculation with nanosponges enabled 89 percent of mice to survive lethal doses. Administering nanosponges after the lethal dose led to 44 percent survival. It’s reassuring to see that this therapy doesn’t damage as it heals. Zhang’s team separates the red blood cells from a small sample of blood using a centrifuge and then puts the cells into a solution that causes them to swell and burst, releasing hemoglobin and leaving RBC [red blood cell] skins behind. The skins are then mixed with the ball-shaped nanoparticles until they are coated with a red blood cell membrane. 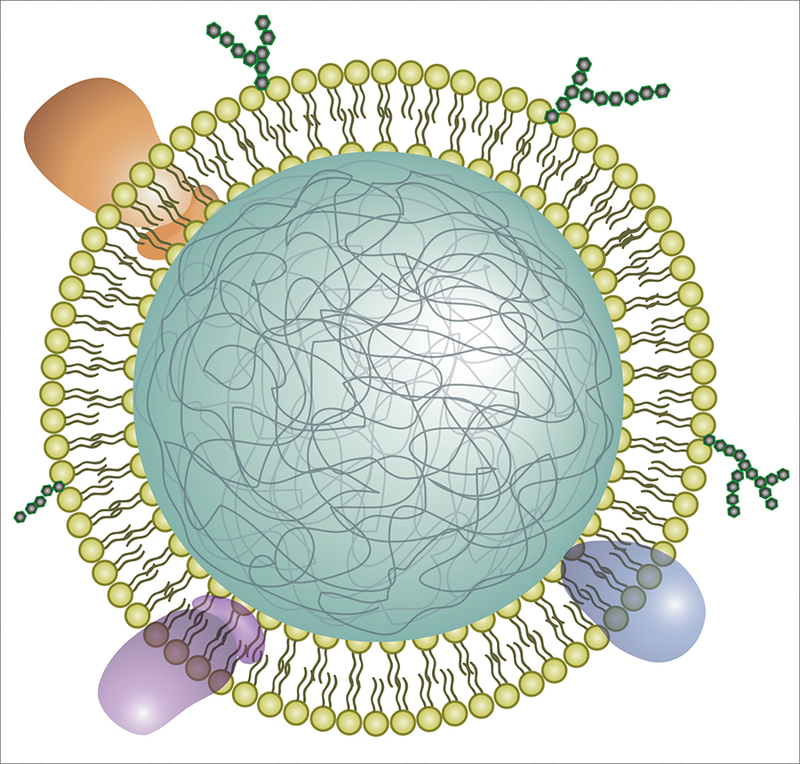 Just one red blood cell membrane can make thousands of nanosponges, which are 3,000 times smaller than a red blood cell. With a single dose, this army of nanosponges floods the bloodstream, outnumbering red blood cells and intercepting toxins. Based on test-tube experiments, the number of toxins each nanosponge could absorb depended on the toxin. For example, approximately 85 alpha-haemolysin toxin produced by MRSA, 30 stretpolysin-O toxins and 850 melittin monomoers, which are part of bee venom. In mice, administering nanosponges and alpha-haemolysin toxin simultaneously at a toxin-to-nanosponge ratio of 70:1 neutralized the toxins and caused no discernible damage. This seems like promising work and, hopefully, they will be testing these nanosponges in human clinical trials soon. The last time I wrote about nanosponges it was in the context of oil spills in my Apr. 17, 2012 posting. This entry was posted in medicine, nanotechnology and tagged A biomimetic nanosponge that absorbs pore-forming toxins, bee venom, blood, Brian T. Luk, Che-Ming J. Hu, E. coli, Jonathan Copp, Liangfang Zhang, MRSA, nanosponges, pore-forming toxins, red blood cell cloaking technology, red blood cells, Ronnie H. Fang, snake venom, toxins, Unviersity of California at San Diego on April 15, 2013 by Maryse de la Giroday.